Cotton embroidery floss is the queen material for creating unique friendship bracelets, and I love Carrie's! 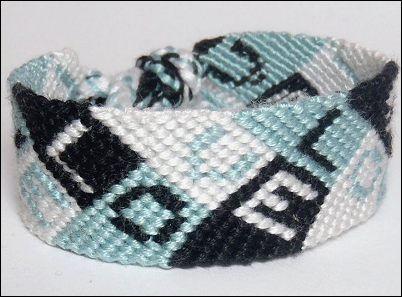 Her awesome 100% mouline cotton LOVE bracelets feature three alternating colors. So light weight and as comfortable to wear. Bracelets are made-to-order and available in hundreds of color options for you to choose from. 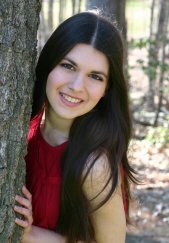 Please also visit Viola's blog for more about her and her designs, violamahr.typepad.com. 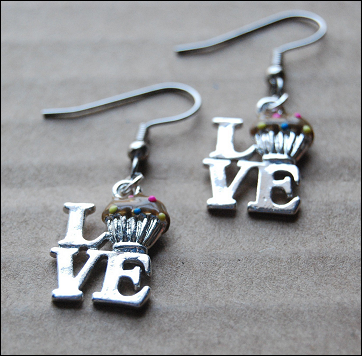 Our next piece is the definition of sweet and simple. 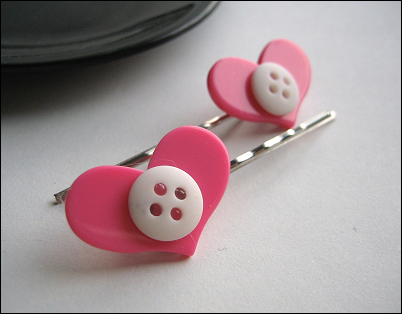 Any girl would love these adorable heart shaped button bobby pins. Perfect for a fun date out with your guy. 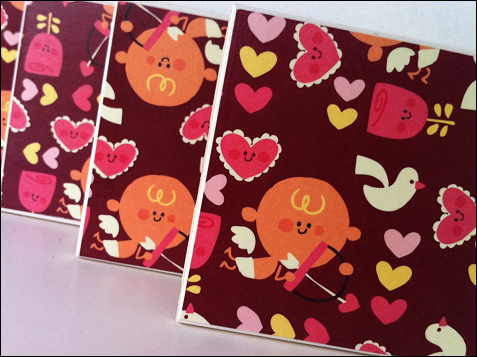 How charming! 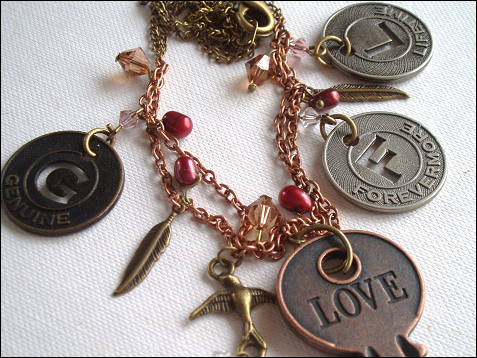 The "Love" key is the focal point of Tashina's lovely chain necklace, along with three brass and silver tokens which say "Lifetime," "Forevermore," and "Genuine." Other stylish adornments include cranberry teardrop freshwater pearls, two brass feathers, light pink, light brown topaz, and clear Swarovski crystals, and a brass metal bird. Very unique and a must-have! As funny as it may sound, coasters can make a great addition to your dorm room or apartment. I love Andréa's use of patterns to create such a unique decoration. Cute little cupids, adorable roses, fun hearts, and little doves make these deep red coasters perfect for Valentine's Day. Add a pop of color to your outfit! Five red acrylic flowers with black beads sit upon a 18" gunmetal chain necklace. Who is that classy lady? She could be you! Well, that about wraps it up! 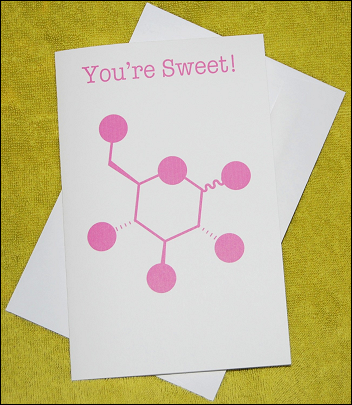 From cupcakes to sugar molecules, Valentine's Day is one sweet holiday for those in love. I appreciate these gifted young Etsy artists, and if you do too, stop by their shops and drop them a sweet compliment ... or better yet, purchase some of their innovative designs. 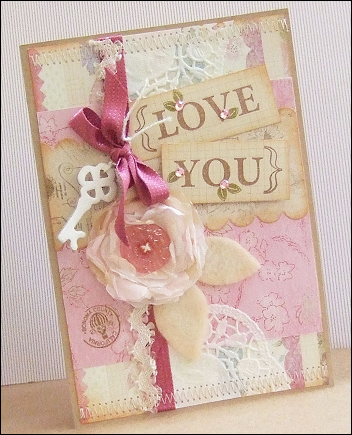 Maybe next Valentine's Day you too will be showcasing your artistic talent on Etsy ... or in Sweet Designs Magazine!